Just so you don’t get the wrong idea, this blog post isn’t about bowel movements, constipation or anything that might be happening in that area. Not today. What I am going to talk about today is the other kind of flow. Your universal flow. How you feel your life is going, your job, your relationships, and so forth. I’m actually writing this as a first hand observer, and frankly, the whole experience was quite remarkable. I have spoken about my partner on a few occasions before but for those of you who don’t know, his name is Asa, and he is also a naturopath and a nutritionist like me. He is 34 years old and has played semi-professional soccer for the majority of his adult life. He is fit and healthy, but like most guys, does enjoy the occasional night out with the lads. And it was one such night that demonstrated to us, just how important your diet and lifestyle are in your general energetic flow. Let me explain-we moved house in February and since that time have been settling in to our new environment and lifestyle. Asa’s diet was really healthy, with green smoothies for breakfast and lunch, nuts as a snack and then a substantial dinner with lots of veggies, brown rice or quinoa and on occasion, a little meat. He was drinking 2L of water a day, exercising regularly and sleeping about 8-9 hours a night. He was also taking supplements to help with energy levels, general adrenal health as he has suffered fatigue in the past. Physically, he was feeling great. Feeling so fantastic can sometimes cause us to think “Oh I’m so healthy right now, I can really indulge and I’m sure I’ll bounce right back”. I know this is what Asa thought when he left for the bucks night on Saturday afternoon because he told me so. 11 hours later he came home, having thoroughly ‘enjoyed’ his mates bucks- very much to excess. On Sunday he slept and lay on the sofa feeling very sorry for himself. He felt queasy all day and only ate in the evening, choosing greasy pies from the local shop because he couldn’t face anything healthier. Feeling so nauseous, he drank only a little water, maybe about a litre. He then perked up a bit of the evening and went to bed around 11pm, not feeling tired before hand due to all his sleep during the day. Monday morning came around and he woke exhausted. As he hadn’t done his usual Sunday jobs, he ended up rushing around like a mad man before work, trying to do a million things at once and not really getting anything done. Late for work and exhausted, he grabbed a caffeinated tea and a hot crossed bun with tonnes of butter- still feeling the need to line the stomach. The pattern continued for a few days, he felt he was constantly behind, not organised, out of control, feeling tired, feeling low, feeling stressed and feeling like nothing was going right and everything was a mess. It wasn’t till the following weekend that he had a chance to really get himself together and get organised for the week to come. Even so, it still took him a further week and a half until he could shake off the negative mental space he’d got himself in. Look at that- almost 3 weeks of feeling ‘ugh’ for one night of fun. Now don’t get me wrong, I am not a peeved girlfriend who has written out this as a way to punish him. I observed the whole incident and when Asa was starting to feel better again, we talked about it naturopathically, and were both blown away by how much of an effect a single night out on the booze affected his whole life. On a physical level, emotionally, energetically, and how his business went. So many people feel those negative emotions Asa experienced every day, and then on weekends they might choose to go out and drink away their problems in an effort to ‘feel better’. This made us wonder how many people out there are simply stuck in this vicious cycle of negative lifestyle choices, and not realising that they are actually causing these feelings in the first place! I know plenty of people who feel ‘stuck’ in life. They might hate their jobs, be under stress from relationships, debts, unsure as to where their life is going or where a better future might lie. And I also know that so many of these people don’t give a seconds thought to what they put in their bodies. I really wish I could tell these people to simply change their diet and lifestyle habits for 4 weeks, and then have a review of how they look at their life as if they still feel as ‘stuck’. Knowing what Asa has just experienced, I think the change could be remarkable. Please contact me if you want to review your diet and lifestyle, and see if it is these two simple things which could be blocking your flow. Interesting article. As you probably know, I had the opportunity to change my life last year through diet through an associate of Asa’s who had studied with him. 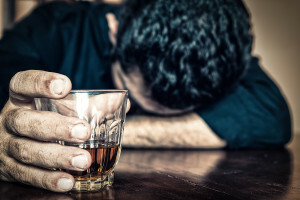 Alcohol was a contributing factor, that I didn’t realise at the time was having such a big effect in my life, and I can totally relate to what you have written. Although my current lifestyle isn’t totally void of alcohol, due to the experience of massive change last year, I am so much more conscious now of what I put in my body and the amount. Thanks for the article. Hopefully someone else may get something out of it, and maybe think twice about what they are doing. It’s so great to hear the positive shifts you have noticed since making some big changes in your diet and lifestyle. I think alcohol can still be an enjoyable part of our lifestyle- but you hit the nail on the head when you said you are now more conscious about what you put in your body. I think that is the key. Sure, we can still go out, have some drinks, have fun, but being aware of how much we drink (or what we eat), how often we do it and how it will make us feel puts all the power in our hands. Thank you so much for your feedback and for sharing your experience!